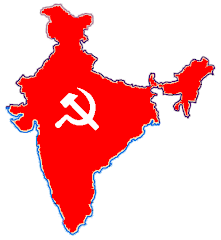 Kolkata: THE CPI(M) and Left Front unleashed a massive campaign on peoples’ issues for more than a month in West Bengal. Left Front called for the campaign from 3rd January to 3rd February, which got a huge response from the people. The campaign focused on the restoration of democracy, immediate halt to atrocities against women, against price rise, fair prices for peasants, defending the rights of the workers, punishment of the chit fund fraudsters, against anarchy in educational institutions. The campaign also stressed on the consequences of anti-people policies of the centre and the threats of communal and disruptive forces. At one level, the campaign was organized in intensive manner, reaching to people through door to door contact. Block and district level joint conventions of the mass organizations were organized. At the other level, mass mobilizations took place either at district or local-zonal level. Last one month witnessed massive rallies in districts, breaking barriers of terror and intimidation by ruling party, signifying an assertion by the people. The huge gathering on 8th January in Kolkata by CPI(M) North 24 Parganas district committee helped to build up confidence of the Left workers throughout the state. A huge rally in Coochbehar was addressed among others by Manik Sarkar, the chief minister of Tripura. In Burdwan district, massive gatherings took place in terror-stricken areas of Memari, Raina, Ketugram, followed by one of the biggest gatherings in recent memory in industrial town of Durgapur. In Raina, no buses or vehicles were allowed to carry CPI(M) supporters but the people defied it with huge processions, walking into the meeting ground carrying red flags. In Ketugram, where many CPI(M) activists were murdered, the first meeting of CPI(M) took place in 32 months. In Durgapur, workers from the steel, metal industries and coal mines flooded the rally ground. In Medinipur town, Buddhadeb Bhattacharjee addressed a mammoth gathering , attended by thousands from severely terror-stricken areas of Jangalmahal and other areas of West Medinipur district. Baharampur town of Murshidabad witnessed a rally of unprecedented participation. Surjyakanta Misra addressed the rally. South 24 Parganas district organized 30 public meetings throughout the district. The last two meetings were addressed by Sitaram Yechury in Diamond Harbour and Jadavpur. Apart from that, the state witnessed continuous protest actions against the atrocities on women, with road blocks and demonstrations. Sutdents and youth hit the streets protesting large scale corruption in primary teachers’ selection examination. In Kolkata, on 22nd January, two separate processions marched towards downtown and blocked Esplanade. This one-month campaign ascended to its peak with the call of Brigade Rally, scheduled on 9th February. Hundreds of meetings took place in every corner of the state, in front of factories, in tea gardens, in rural marketplaces, in busy streets of towns. In almost all districts, Left activists went door to door with pamphlets, appeals. Labels: 2014, CPI(M), LEFTFRONT, TMC GOVT.